Is Ray ‘Stay On Your Feet’ Wilkins A Better Fit For QPR Than Mark ‘Sparky’ Hughes? After blaming everyone and everything but himself, king of the passive-aggressive faux-down-to-earth shtick, Neil Warnock, was given the boot at Loftus Road on the back of an appalling run of form which saw QPR take just two points out of a possible 24. This sacking therefore leaves a rather decent looking vacancy which is sure to attract a whole load of “between jobs” managers. So far, former Manchester City boss Mark Hughes has emerged as the bookie’ favourite, with Sparky no stranger to top tier management, having had spells at Blackburn, Man City and Fulham as well as the Welsh national team. 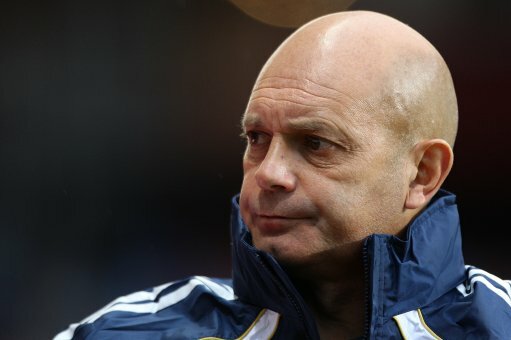 However, now former QPR player and manager, Ray Wilkins, has thrown his proverbial hat into the ring. Wilkins has created quite the media persona for himself in recent years, although much of his fame has come from his rather bizarre and often biased punditry, creating a whole new collection of Colemanballs, from “stay on your feet” to “my word”. Wilkins was a key influence during Carlo Ancelotti’s successful reign at Chelsea and he has bags of experience. But is he a better bet than Hughes? Will it be ‘baldy’ or ‘hairy’? Or is there someone else who could better serve QPR? Can I just say that the way they’ve treated Neil Warnock is absolutely bloody shocking. As a Fulham fan I kind of hoped that Colin stayed so that he took QPR down. Sparky will not take the QPR job, he left Fulham as he wanted to manage a ‘top team’, QPR would be a step backwards. Warnock is a disgusting individual, so it couldn’t happen to a bnicer guy imo. Also judging by Wilkins commentary – he is in fact a very stupid man. QPR fans will never forget what Wilkins did the last time he was manager, Id be fine with him as a coach or assistant though. Hughes left Fulham to find a better club, now he has found one thats not made up of tourists and takes more than 100 to away games. Hughes is at the club right now having an interview so hes very interested. @sl 6-0 mate. Still hurt does it? If your shoebox could fit more than 16k you may find you’d have some tourists as well. Enjoy sparky if he comes, he’ll show you no love and leave when he can upgrade and that shouldn’t take too long. No, what would hurt me is beating a nearby team 6-0 and still having an atmosphere like a morgue. We are getting a new 40-45k stadium while you will still be stuck in that wooden dump of a ground. Were you at the game? I imagine your end was quite quiet anyway. Enjoy your fantasy 45k stadium, I imagine you’ll have plenty of room to stretch out and relax. Tripling the size of your stadium does seem a sensible thing to do after all you’ve had that enormous season ticket waiting list for years now. Btw did you see our plans for expansion, looks lovely. River Thames or the blue peter garden, its a tough choice.